Spam filtering solution are fully customized to ensure maximum protection but still receive safe emails. With cloud based spam filter solution like barracuda, you can have one more level of control over your business emails. Email traffic is also backed up and can be easily redirected to a secondary email server for redundancy in cases of emergencies. 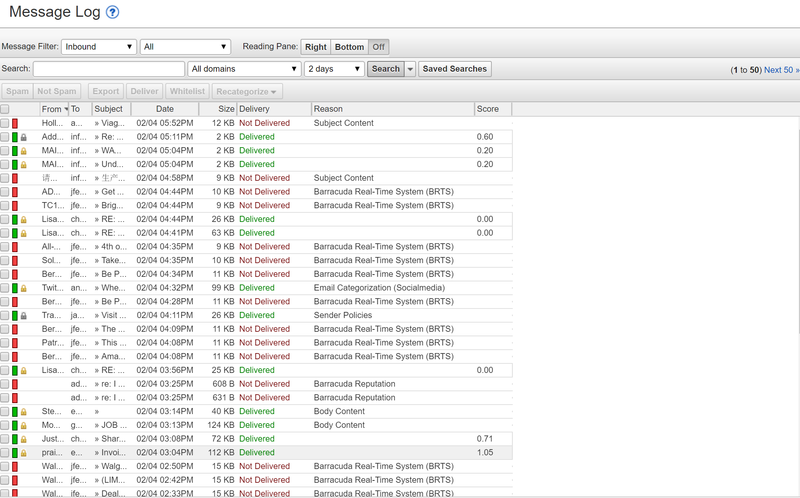 Below are screenshots of some of the tools you will have access to with Barracuda Cloud spam filter services. Spam filters are part of Canada Computing’s integrated security solution, which includes security software, monitoring, and auditing. Contact us today to find out how Canada Computing can enhance the cyber security of your business IT systems.